Some days, even “Tea. Earl Grey. Hot.” won’t fix the problems of the world. At those times, we rely on the facepalm. 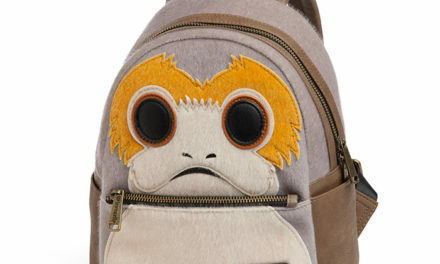 But you know that when Captain Picard must hide his face in his hand, you’re in real trouble. That’s when this t-shirt, made in the color of Picard’s captain’s uniform, is the perfect statement, letting those around you know not to test your patience and to give you some space. Perhaps it’s time to have some alone time in your Ready Room? Make it so. 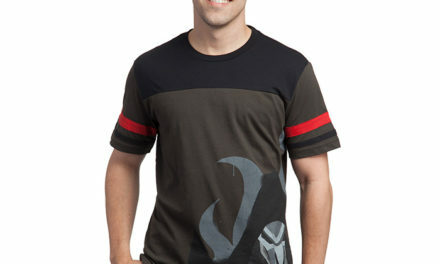 This ThinkGeek-exclusive Star Trek Picard Facepalm T-Shirt is made of 100% cotton. 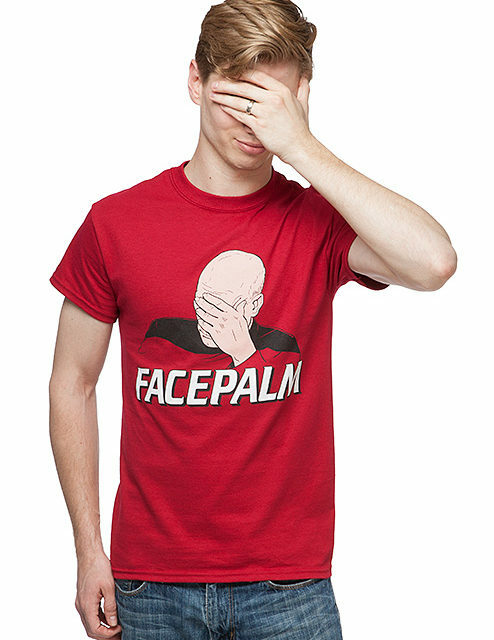 It is cardinal red with the word “FACEPALM” and an image of Captain Picard deftly performing a facepalm. Machine wash cold, gentle cycle. Tumble dry low. Imported.